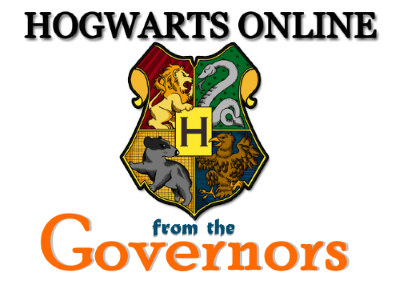 I am very pleased to announce that Hogwarts Online will be bringing Featured Of the Month awards to the entire site in the next month. This new honor will feature the members, characters, couples, and role plays that you all love the most! Even better, they are all chosen by you, the members and will be international in scale! Starting today, I am accepting nominations for all Featured Awards. Nominations close on February 1st at 11:59 pm EST and voting will begin the following day with each member being allowed to vote once. Then, we will announce our winners who will get special prizes! Member of the Month - Nominate one member of the site who you believe deserves to be recognized for the OOC contributions over the course of the last month. Maybe they are just always there to put a smile on people's faces or maybe they took on a big job that needed filling. It's up to you! Character of the Month - Nominate one character of the site that you believe deserves recognition for their in character development, phenomenal posts, or high activity. It can even just be a character you think is really cool! Couple of the Month - Nominate any two members that are either in a relationship or are working up to being in a relationship in character. Maybe their romance has made your heart melt or maybe you just ship them really hard. We all have one! Role Play of the Month - Nominate any number of members and one of their role plays that you think was a fantastic read. From the unusual to the mundane, it could have been incredibly entertaining or simply featured captivating writing styles that made you want more! Members are discouraged from nominating themselves. This is an opportunity for our members to recognize each other for the phenomenal work they put in on the site. The same member cannot win the same award twice in a row. Each IP address is restricted to one vote. I know we have some relatives on the site who use the same IP address. If this is the case PM me your vote and it will be counted. ANYONE may be nominated and voted for provided they have been active during the prior month. To nominate someone go HERE and follow the instructions!